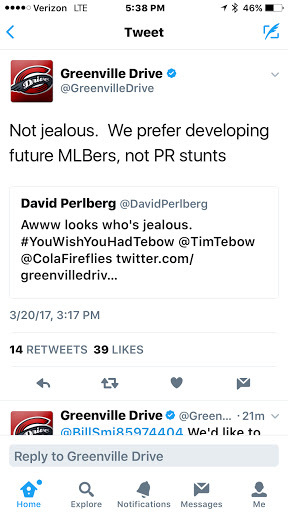 The Drive are the Single A affiliate of the Boston Red Sox and play in the South Atlantic League with Tebow's brand new team. 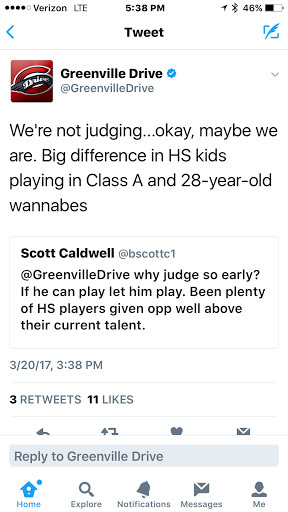 The Greenville Drive didn't back down when they received some complaints. 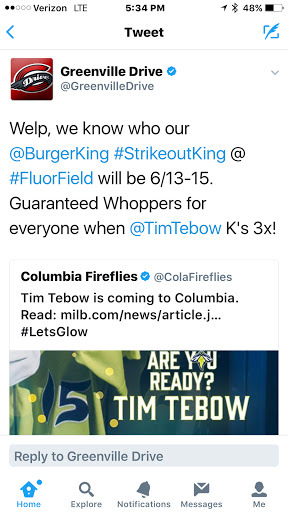 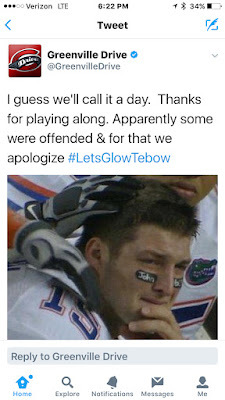 Welcome to Tebow Time in minor league baseball.